Yes, your songs are number one. But so is your voice. Matter of fact, your voice can make a halfway decent song totally come alive, or not. But one thing is absolutely, without a doubt, true. Your voice sells the song. It is the star of the track. And it not only has to be good, it has to be convincing. With my vocal coach and vocal arranger ears, I hear way too many half baked vocals on independent records. And I’m talking about vocals that could have been amazing, had they had the right tweaking. But unfortunately, the vocals had no real attention. They were just recorded as is. There was no finessing, no help with phrasing, interpretation or arrangements. No help pulling out more emotion or making the voice pop out more. And unfortunately, as a result, that artist lost out on all of their efforts – the years in the making, the cash expenditure —- right down the drain. Sigh. It kills me. So, a mission of mine in the world, is to help singers improve their vocals and especially on their records. And this is something that can be done – on the spot. Countless recordings can be salvaged and even lifted up to Grammy status, should the vocal have the right direction, a stellar arrangement — until it sits just right. I’ve taken many a mediocre singer and lifted them to a “great vocal” status. It’s all of the secret behind-the-scenes techniques and tweaks that get them there. And the best part? I don’t use effects. It’s all natural. Make sure you’ve got the right key first. A half step in either direction makes a huge difference in the timbre and sound of a singer’s voice. At the end of the day, no matter what any musician or producer tells you about a song’s key (or a disgruntled guitar player who doesn’t want to use a capo), the right key is the key where your voice sounds best. Period. Vocals sell a song, not the key. Quick Tip: Use transposition software like Transcribe at seventhstring.com or adjust the key in Logic or ProTools (tutorials on YouTube) to try your track in several keys. Start with your existing key, and move up or down ½ step depending on where it sits in your voice to find the exact right spot. You’ll be amazing at how 1 step in either direction will make a huge difference. Quick Tip: Grammy winning singers sing where their voice sounds best. At the moment of recording, you want the vocal line to be automatic. Prepping by using Hearfones with dramatically improve tone and pitch so you can focus on emotion and feeling the track, instead of being bogged down by technical stuff! One of the distinct aspects of a Grammy winning vocal is how a singer uses dynamics. Great vocals build as they move through the song, but the intensity when they are softer in volume doesn’t sound weak, but emotionally moving and solid. Dynamics also have a lot to do with the music. The vocal needs to flow in dynamics alongside the music. If you have the chance to work this out with the producer as the music is being created, even better. The music should enhance your vocal, not step on it. If you’re having a hard time singing a track, it could be the arrangements that could use some tweaking. Quick Tip 1: Try emphasizing the words that fall centered on downbeats (or upbeats depending on the song) a bit more. Line them up with the drums to make the phrasing stand out. Quick Tip 2: Be sure to feed your voice and your vowels straight into the mic. Open up your mouth on that mic so the microphone can pick up all the wonderful timbre your voice has to offer! This right here is the most important one. This is the one that gets those rave reviews. Because at the end of the day, what hits us in our solar plexus is the winner. Really think about what the song is about and deliver the emotion of it to us. Whatever you want your audience to feel, if YOU feel it intensely, they will too. Tell the story. However when you’re still stuck at #2 above, you won’t be able to deliver the emotion on the level you’ll want. Quick Tip: Write out what this song is saying. Go line by line until it sits more deeply inside your emotions. Don’t expect to rely upon the fact that it’s an original song — you still have to connect to it and it may have been a while since you wrote it. You have to tell the story with your voice. You can’t dig deep enough on this one. Note: In general, the emotions of anger or frustration are better than sadness which is too internal an emotion to be effective when laying down the vocal. You won’t sound mad upon listening back, it will just sound intense and really good ;). You’d be surprised! Grammy winning vocals have the advantage of vocal arrangers, great producers and lots of time spent on their vocal tracks (they are not rushed as they can be on indie records.) One of the things that is picked over is where there are riffs (melodic flurries, melismas) or held notes. They are generally placed at the endings of lines or sometimes in the middle. Quick Tip: Work over where you want to place your riffs and held notes — go by what sounds best! Also work out the last chorus (especially the 2nd part of a double chorus) to have some special notes and variations along with riffs to build a dynamic finish! A Grammy winning vocal has peaks and valleys. They take you on a journey through the song. Music is all about tension and release. A build up to a release. This has a lot to do with the emotional dynamic build of the song as you work through sections. Where are your peaks and valleys? Quick Tip: Work out the peaks and valleys of your song. Place the peaks strategically where the emotion is biggest (usually on the chorus) – add riffs, high notes or held notes to emphasize the peaks. Valleys usually belong more in the verses or at breakdown sections. Pre-choruses and bridges generally are a build to the peak in the chorus. Great vocals have an element of ease, like the singer has been singing that song forever. The best way to get comfortable like that, is to over-rehearse the songs working on all the angles above. Then you’ll really be able to deliver come recording day! Quick Tip: Be careful not to oversing. Keep your volume down to avoid blowing out your voice, particularly in the 3-4 days prior to your session. That’s why it’s good to work out all the kinks and practice your big notes in the 4-5-6-7-8 weeks before your session. 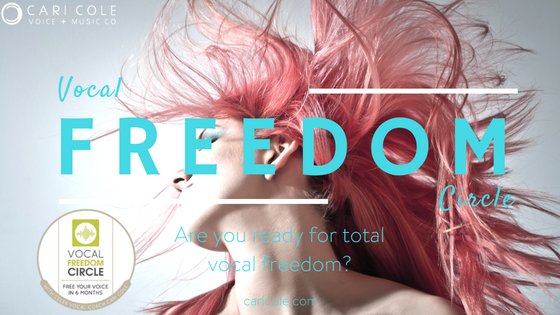 I work on vocal arrangements as much as 2-3 months prior to the recording sessions to get singers comfortable (and to get the best results) !! I hope this helps you knock your next vocal out of the park!! !